680 3mm nylon from Taulman is food-compatible (FDA-approved) and durable. Packaged in a 450g spool. 74,90 € Tax incl. 62,42 € Tax excl. 680 FDA nylon filament meets the FDA 21 CFR 177.1500 standard guaranteeing compatibility for indirect food contact. This standard, approved by the FDA (Food and Drug Administration) is only valid for the USA. 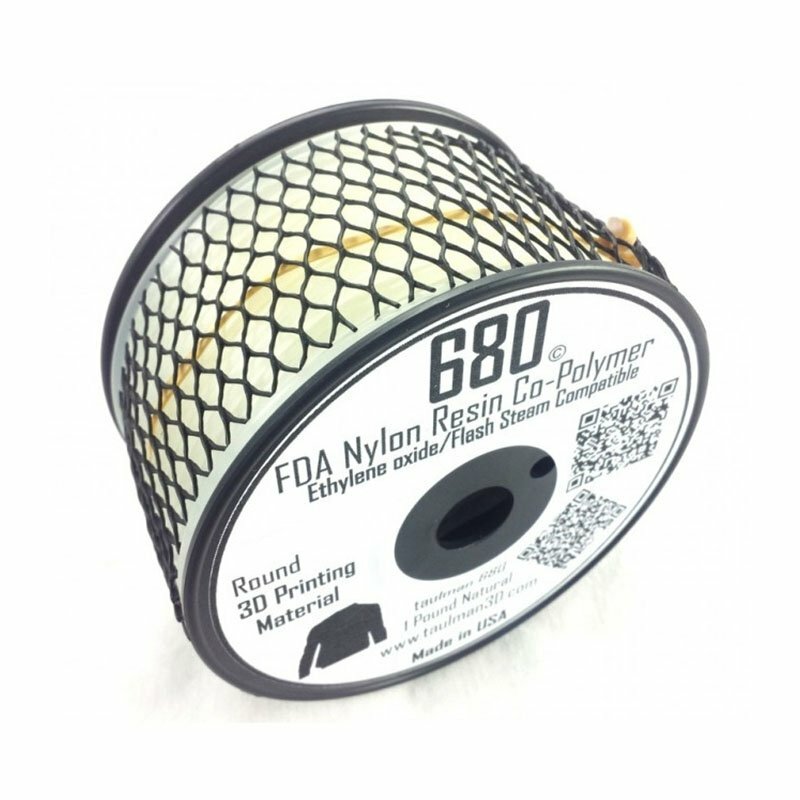 Nylon 680 is hygroscopic, absorbing water and moisture. This nylon is also the most rigid in the Taulman range.